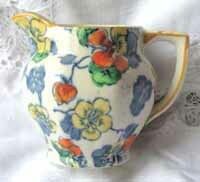 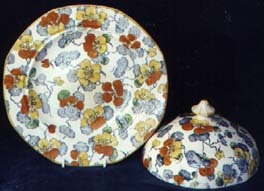 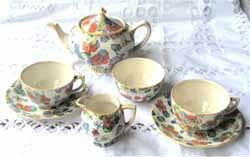 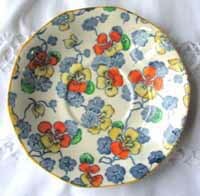 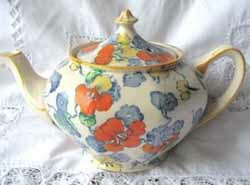 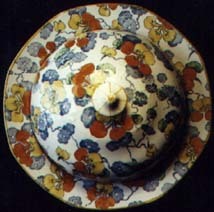 This attractive chintz pattern is much harder to find than Barker Bros' well-known Fantasy design. 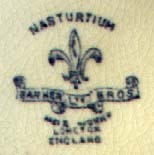 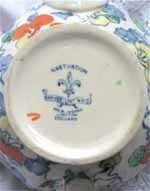 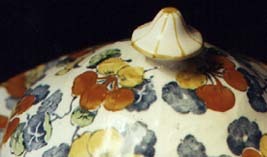 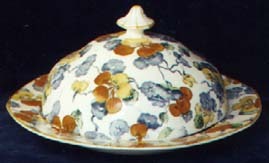 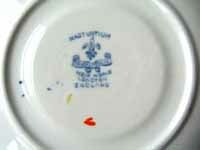 Nasturtium items were produced during the period 1912-30, and feature a backstamp that includes a fleur-de-lys motif and the words MEIR WORKS LONGTON. 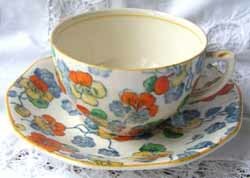 The design comes in various colourways - the one below has handpainted nasturtiums in orange, yellow and green on a blue transfer.